Minnesota Employment Contracts Included in Business Deskbook Published by Minnesota CLE - Trepanier MacGillis Battina P.A. March 29, 2019 by Trepanier MacGillis Battina P.A. 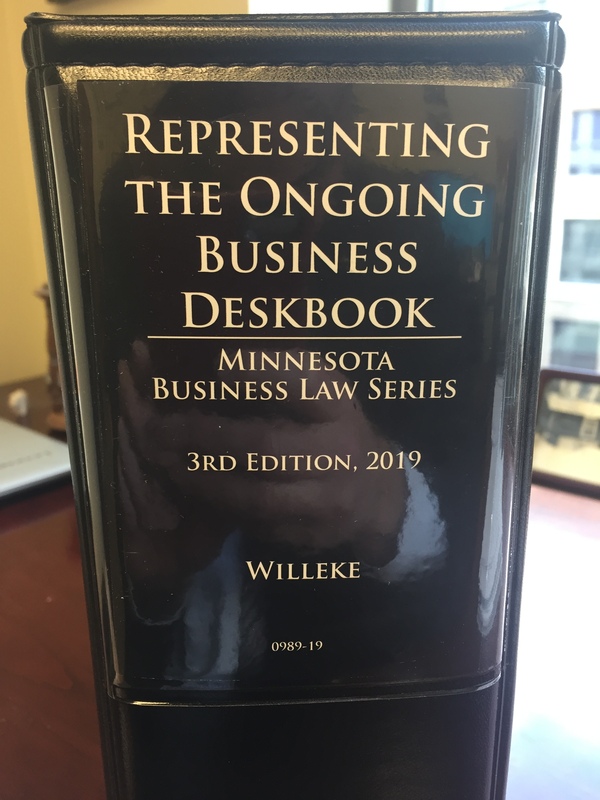 Minnesota CLE has just published its 2019 3rd Edition of Representing the Ongoing Business Deskbook, a comprehensive treatise on Minnesota business law. TMB shareholder V. John Ella co-authored Chapter Four, “Minnesota Employment Contracts” along with attorney Jeffrey B. Oberman. V. John Ella is also the author of Executive Employment Law – A Handbook for Minnesota Executives published in 2018. If you have questions about Minnesota employment contacts or Minnesota business law, contact the business and employment law attorneys at Trepanier MacGillis Battina P.A.